Protect your device from electronic threats and save your battery with Bitdefender Mobile Security because your smartphone or tablet is no good if you can’t use it. 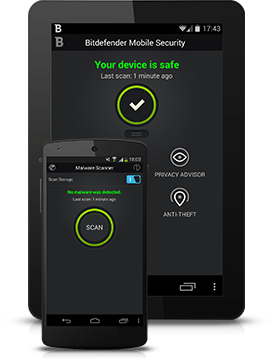 Bitdefender Mobile security & Antivirus is a light weight security suite for Android devices that protects the device from both online & offline security threats with less impact on system battery. The Privacy Advisor is capable of giving you detailed info as to what your installed apps are doing in the background without your knowledge. Blanket your most data-sensitive apps with an added layer of security! App Lock lists all the apps installed on your phone, and allows you to easily pick and choose which ones you’d like to setup passcodes for… so the only one that accesses them up is you! To get a 180 day license of Bitdefender Mobile Security Premium, just visit this Windowsdeal Bitdefender Mobile Security promo page, click on Download button, you will see that the Cart has it and you just need to click on Proceed to Checkout button. On the very next page, you only need to enter your email id twice and click Place Order button. You will receive an email related to your Username and auto generated Password. 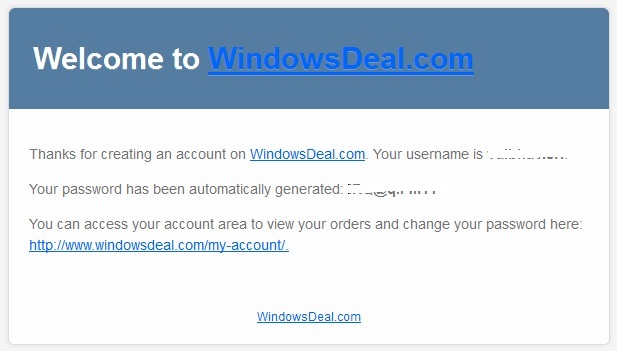 Click on the link given inside the email and you will redirect to your account under Windowsdeal site. As you will enter your account in Windowsdeal site, you will see your download is ready for Bitdefender Mobile Security. As you will download (ZIP file), you will get one more link on text file under the ZIP. Go through the link given on text file and when the webpage loads properly, then enter your name, email address & captcha code. You will receive the license key from Bitdefender with in a few minutes, copy the activation code. Now install the Bitdefender Mobile Security & Antivirus on your device through Google play, launch the app and tap the ‘upgrade to premium’ option, you will be forwarded to Google wallet for payment, cancel it. On cancelling the payment, you will be directed to apps ‘Golbal settings’, tap on ‘Extend Premium plan‘ and select the option I already have a key, then enter the complimentary license key you received which you get in your email. Go grab this deal and get the Mobile Security app for your android smartphone as soon as you can because this deal is only available for (40 hrs) only while writing this blog post. What Can We Expect from Android 5.0?